Recently, the Nerja Decorative & Fine Art Society (NDFAS) and the Nerja History Group (NHG), arranged a 3 night 4 day trip to Toledo which was enjoyed by 35 willing travellers – What a stunning City ! The trip started from Nerja by coach with breakfast partaken together on the outskirts of Granada. 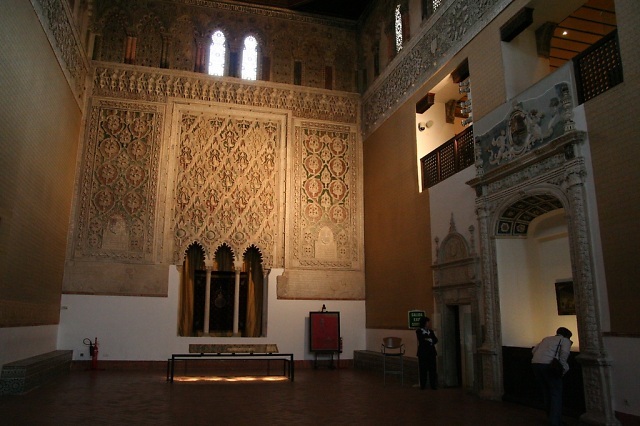 Once moving again by coach, we had a narration about the history of Toledo and its apparent religious tolerance with its Jewish, Christian and Moorish past – this was interspersed with music, to get us in the mood! Time for lunch – once again together, we enjoyed a selection of tasty local specialities of Bailen. Then back on the coach for a siesta !